"By donation" is another way of saying "pay what you choose". Some businesses use one term, some the other, and some use both. b) allay people's fears about not knowing what amount would be fair. 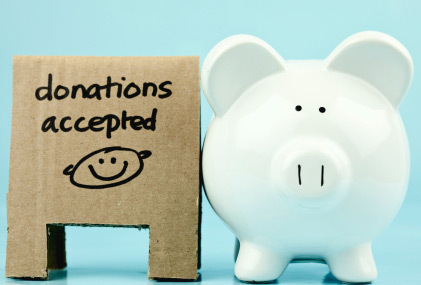 Many businesses use a "minimum suggested donation" as a way to set limits on what people give, thus ensuring that enough income is generated to cover their costs. This yoga studio is in the middle of a 501(c)(3) campaign to be recognized as a non-profit at the state and federal level, thus being able to receive charitable contributions from benefactors. All of their classes and workshops are given on a donation-basis. From their website: "We are by donation. A yoga teacher will never ask you to pay her/him directly. You will always make your donation anonymously in our donation box. There is never a set fee for our regularly scheduled yoga classes. If you cannot donate cash or check, we are happy to accept your service in helping to keep the studio clean and operating efficiently. Just ask an instructor what you can do."